Title: The Death Rays of Ardilla by Captain W E Johns 1959 Hc Dj A story of Interplanetary Exploration by the BIGGLES author. Author: Captain W E Johns, famous author of the BIGGLES and WORRALS series. Pictures by STEAD including a coloured frontispiece. Publisher: The Children's Book Club for Hodder and Staughton, London, 1959, Hc with Dj, 15 Chapters, 192 pages. Condition:Crisp blue cloth-bound hardcover with title to spine, STRAIGHT, TIGHT & CLEAN in VERY GOOD CONDITION IN A VERY GOOD DUSTJACKET which has not been clipped. There are minor age-spots to the page edges but the book is crisp and robust, possibly unread. 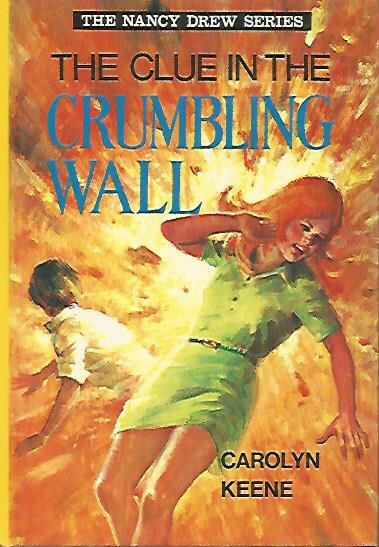 Description: "A stranger from beyond the THIRD REGION has told us that all ships in their section of the Universe have been warned to keep well clear of Ardilla"
Author: Carolyn Keene. The Nancy Drew Mystery Stories. Publisher: William Collins Sons & Co., London, 1972, hardcover 8vo, 160pp, 25 chapters. Condition:Crisp illustrated hardcover with presentation inscription to the front endpaper, STRAIGHT, TIGHT & CLEAN in Very Good Condition. Description: When Nancy is asked to find a professional dancer who disappeared several years before, the young detective becomes involved in a mystery reaching far beyond a missing-person's case. Nancy and her friend's investigation is at Heath Castle. Publisher: WINN & Co., Sydney, 1941, FIRST EDITION, softcover quarto, COLOUR ILLUSTRATIONS & 1 colour illustrations, 32 pages. 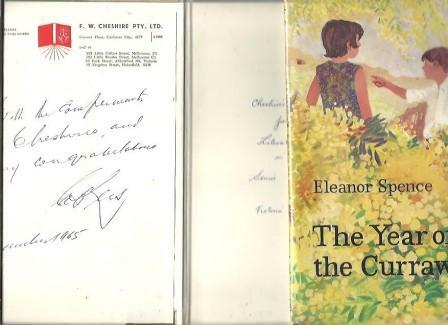 Condition:Illustrated softcovers with title to front cover, three staples to spine, top corner missing front cover, small tears & rubbing to covers, spine loose (all intact), slight foxing and age-toning to endpapers. 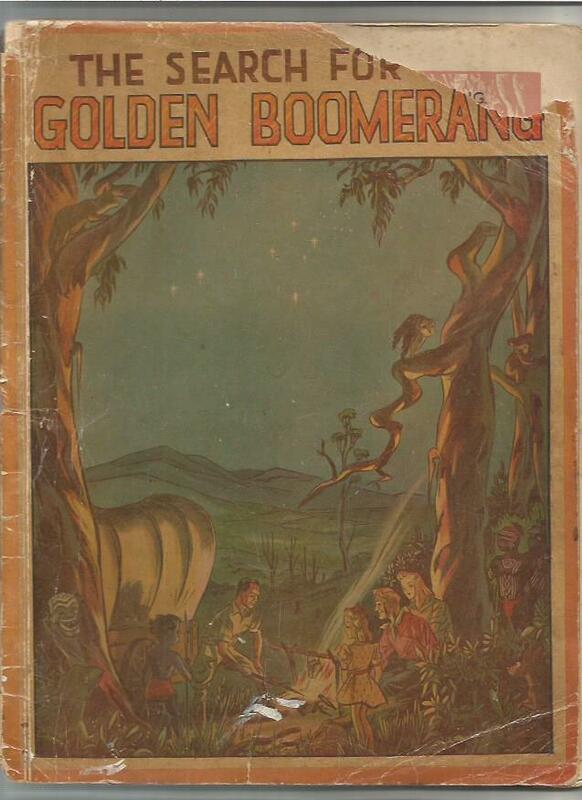 Description: Tuckonie & the Golden Boomerang - White Magic and Black - The Seidlitz Powder - The Idol of Ng'rui Moch - The Kakadu Tribe and many more. 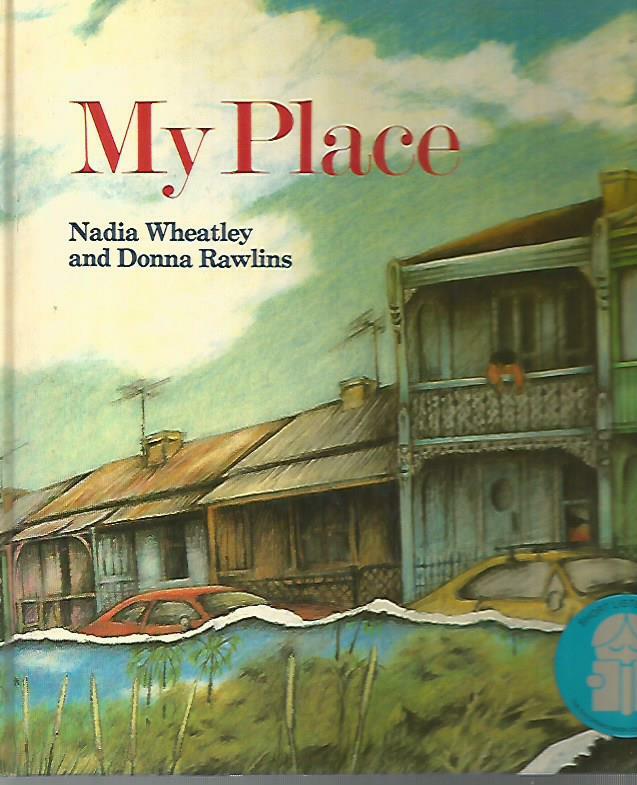 Publisher: Collins Dove, Melbourne, 1988, reprint, hardcover quarto without d/j, unpaginated, filled with COLOUR ILLUSTRATIONS, Year Chapters. Condition:Laminated colour illustrated hardcover with title to spine & front cover, slight rubbing to spine & corners, no inscriptions, CLEAN & TIGHT in GOOD CONDITION without dustjacket. Description: Warning: This book is a time machine ! It flips you back into the past, and no matter where you live in Australia, your place has a story as old as the land. Publisher: Angus and Robertson, Sydney, 1955, First Edition, hardcover 8vo with d/j, 82 pages, B/W ILLUSTRATIONS (some with yellow), 10 Chapters, illustrations to endpapers. Condition:Brown cloth-bound hardcover with title to spine & illustr to front cvr, rubbing to spine & corners, inscription to front endpaper & small bookshop sticker to inside frcvr in a clipped GOOD DUSTJACKET with small pieces missing, rubbing & edgewear. Description: Dumper was a very young kangaroo when he decided to go adventuring in the Big Bush in search of something he wanted very much. This is how Dumper & the Three Woolly Caterpillars start their big adventure. Publisher: Oxford University Press, London, 1965, FIRST EDITION,hardcover 8vo with dj, printed in the UK, distributed in Australia by F W Cheshire P/L 13 chapters, 170pp. Condition:Green cloth-bound hardcover with spine & edgewear, intact & ROBUST with the presentation inscriptions to the front endpapers, STRAIGHT & TIGHT in GOOD MINUS CONDITION in a non-adhesive,plastic-protected GOOD MINUS DUSTJACKET, unclipped with edgewear. Publisher: Charles Skilton Ltd, London, 1951, FIRST EDITION, hardcover 40 chapters, frontisp. in colour, 238pp with b/w illustrations. Condition:Slightly worn green cloth-bound hardcover with title to spine and front cover, STRAIGHT & TIGHT in GOOD CONDITION with slight age-toning to pages & edges. Book sticker to enpr.